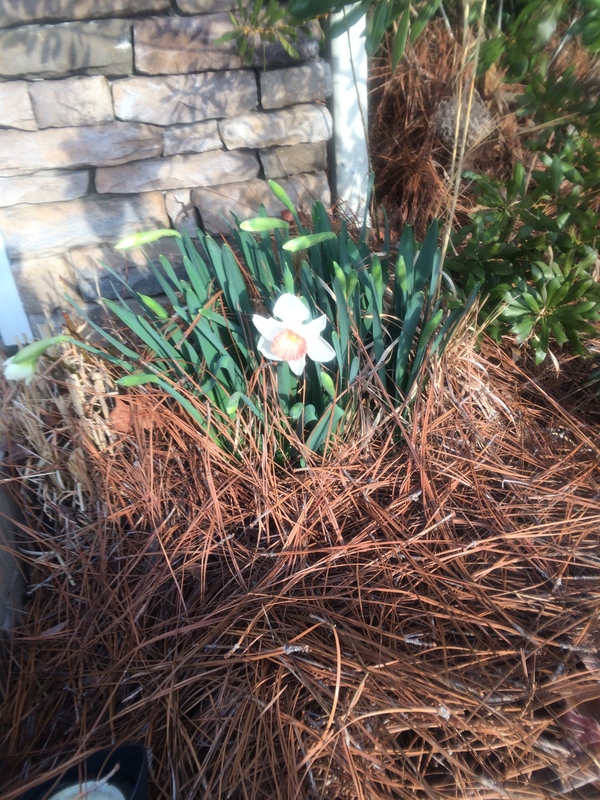 Today as I was leaving my house to take my daughter to school, I looked down and noticed that this lone daffodil has surfaced. Mind you that there were no visible signs of vegetative life on yesterday. I stood there for a moment looking at it. I grabbed my phone and took this picture. Coming back inside, the above scripture flashed in my mind. I must not fail to mention that it is the only flower in the entire garden. You see, someone has to go FIRST, someone has to be the example, someone has to show the others that it is indeed possible to be buried in dirt, survive a harsh winter storm and COME OUT before spring. Oh, I can’t tell you how much a single flower has encouraged me today. I am determined to make it, the calendar may still label the season as winter in my life, it may still label the temperature cold outside , but if I just keep reaching towards the SON of God I can break through and come up out of any circumstance and situation. I will be restored! The greatest mentor I know, humbled to have cross your mind!